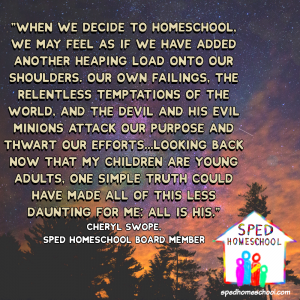 In our years of homeschooling the most profound way we have taught our children how to live a life of faith has been by allowing the Holy Spirit do the heavy lifting. 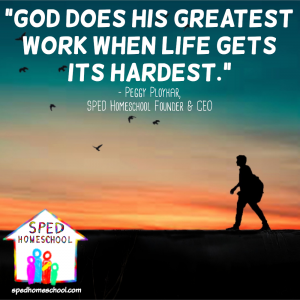 I have always believed it has been my job to live my life of faith before my children with excitement and to share with them the walk God has me on, especially as it affects their lives. 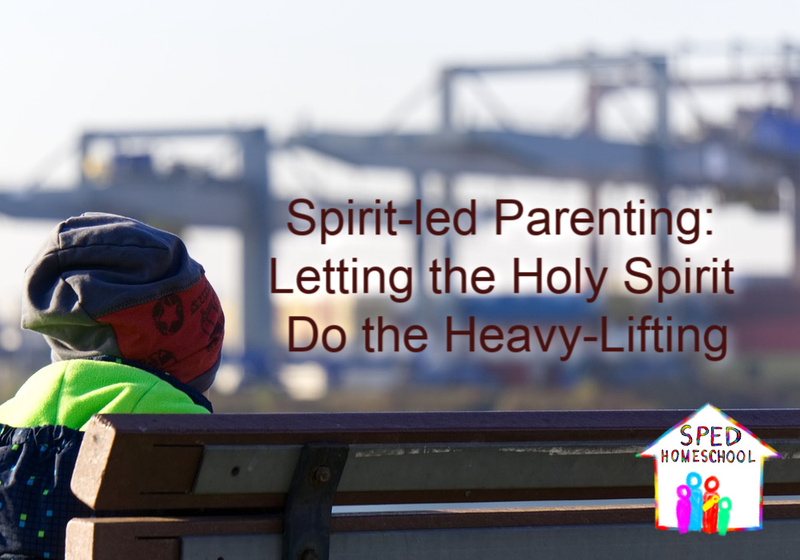 As I pray and commit to Spirit-led parenting, the Holy Spirit does the heavy lifting of convincing, convicting, and moving my children’s hearts. One example of God working in the hearts of our children has been through reading biographies together. When we’ve read together, my children often remarked on how amazing God is to use those who seem ordinary, unfit, and sometimes all-together unworthy of His attention to perform some amazing things for Him just because they trusted Him and believed what He said He could do with someone who turned to Him with an obedient heart. Another story I share often is when God had impressed upon both mine and my husband’s hearts that He wanted us to sell our house and move to the county. For our oldest on the Autism spectrum, it seemed like a death sentence to leave behind his comfortable world for the unknown. But I trusted God had clearly spoken to me. One day when he was protesting about us preparing the house to sell, I decided to let the Holy Spirit do the heavy lifting of convincing my son this was God’s will not mine. A few days later, unbenounced to me, he prayed to God to show him that day if we were supposed to move. All day long he was looking, but he never told anyone of his prayer for fear we would add in our own interpretations. Then when evening rolled around, he went to his sister’s room with his other brother to listen to an audio tape of “Mr. Henry’s Wild and Wacky Bible Stories” as they did most evenings. It was their practice to not turn the light on because our daughter usually fell asleep during the story, so in the darkness my son picked up a tape, put it into the tape player, and sat down with his siblings to listen. Do you know what story he happened to put into the player that night? The story of Abraham being called out of his homeland. As soon as the words, “Abraham, get out of this land” hit my son’s ears, he knew those words were the answer he had been looking for that day. He ran out of the room screaming at the top of his lungs,”Nooooo!” And that is when I was brought up to speed with the prayer and God’s answer. Never again did he complain about moving. We forget too often, no matter how old or young we are, we have access to the same God and the same Holy Spirit. 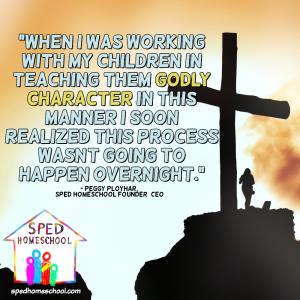 Spirit-led parenting trusts God through the Holy Spirit to do the convincing, convicting, and moving of our children’s hearts, and God’s ways will always turn out more positively then when we try to force our will or our faith upon our children. Good parents teach many good things every day: Share toys, tie your shoes, eat good food, and speak kindly. Good parents help children learn to read, write, and master arithmetic. Good parents teach children to love what is true, good, and beautiful. Yet we, too, must be taught. If we forget this humbling truth we may become discouraged, overwhelmed, or resentful, even as we plow ahead. We rightly look for help in every need, learning to pray and not to faint. The other night my son, a young adult with mental illness and autism, asked how I was feeling. I had been resting with a sore throat and cough. I appreciated his thoughtfulness in asking. He had been worried about me. I knew this. Michael had offered to wear a mask on his work van to avoid bringing home new germs, as I am susceptible to viruses and infections. I never told him to pray. I never asked him to pray. He knew, by the indwelling of the Holy Spirit, where help could be found. This was my grandmother’s favorite passage. She taught my mother to pray. My mother taught me to pray. So too my father’s father prayed. In time of need, as with I am worried or ill, I know that even today my father at age 84 will pray for me. My father taught me to pray. We teach our children to pray. The Lord Jesus Christ prayed through temptation, trial, and the ultimate efficacious agony on our behalf. If we can think of nothing more to pray with our children, we can pray with thanksgiving for this. In so doing, we teach ourselves and our children to pray. ͑Still seeking not Himself but us. As humans we instinctively know we need to pray. When tragedy strikes we ask for prayer, we gather to grieve and cry out, and our hearts seek healing from beyond what we can see, feel, and touch. But, the biggest tragedy is that we don’t practice praying much when things are going well in our lives. We forget we have needs and large voids we can’t fill on our own. The biggest void I could not fill through my own self-determination was the one created by the damage my parenting anger had created in my own life and in my relationships with my children. 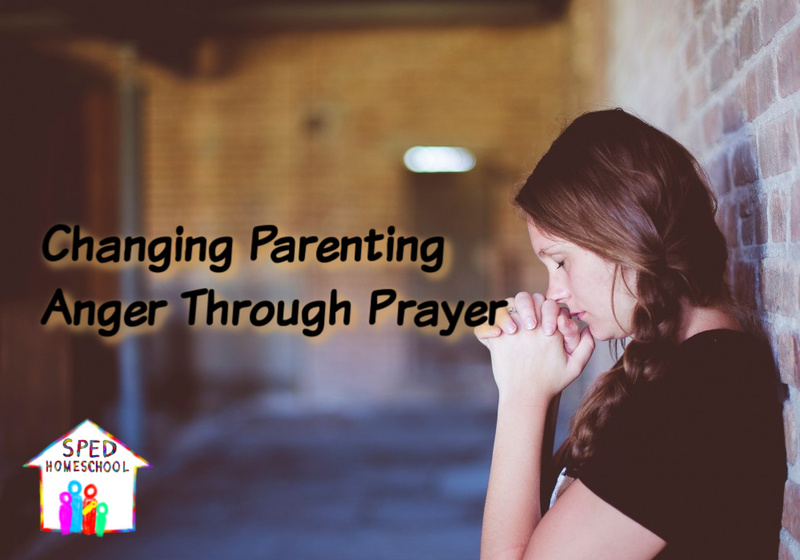 Parenting anger at its core is a spiritual battle, and therefore prayer is fundamental to changing parenting anger and bringing about healing, in both the parent and the child. Prayer alone brought forth this healing in my life. How? By ushering forgiveness and restoration to places grace alone could reach. Prayer is about asking, but it is more than that. It is also about seeking something greater and desiring for it to come into our lives and change our nature; the nature which often brings us to the place where we realize our need for forgiveness and healing. And, prayer is about submitting to that change by pursuing it with tenacity rather than pursuing our natural inclinations or good intentions. Change was slow, but every time God revealed a new lesson I then prayed for His help to heal me, change me, and restore me. 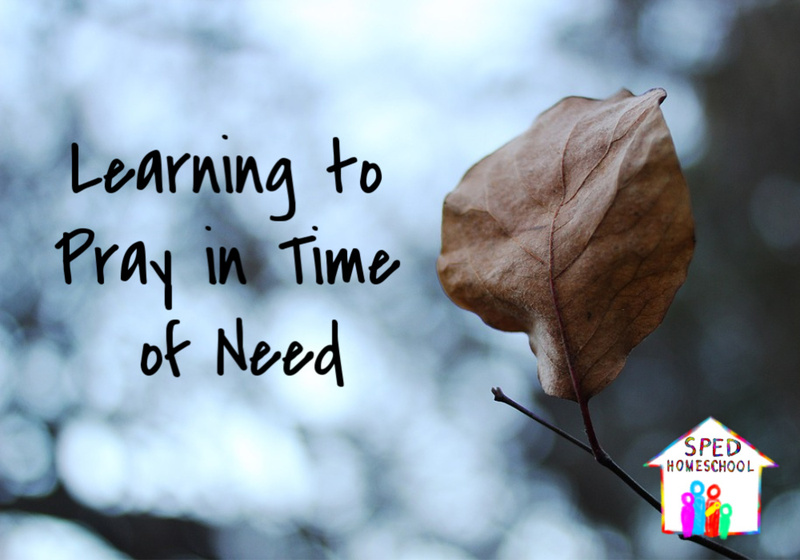 When I backslid in carrying out this new lesson, I sought out His forgiveness as well as the forgiveness of my children, and we prayed together for God to help us accept His grace and do better the next time. I also started to make it a point to pray with my children when they met with failure in their own battles. Prayer was fundamental in keeping us moving forward, in giving us the strength to keep going on, to accepting our imperfect natures, and in realizing all the more our need for a Savior and a constant help as we navigated life with a desire to become less angry and hurt and more loving and compassionate—more like our heavenly Father. When I started this series on parenting anger, I never could have imagined this process would take so long to complete and I would have so much to share. If this is the first article in this series you have read, I would highly recommend you go back to the beginning and digest each article one at a time. Savor the wisdom God shared with me as I healed through my own struggle and allow the lessons to go not just to your head, but also your heart. My prayer for you is that you don’t give up, on yourself or your children. The struggle to change and grow in this ability is worth the battle, and the best part is that God will be fighting right alongside you all the way.